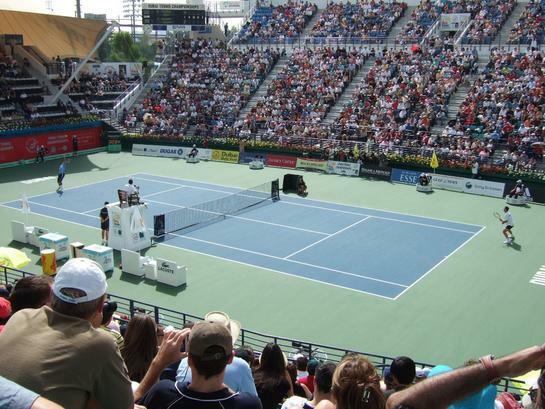 The 2017 Dubai Tennis Championships tennis tournament for women players on the WTA circuit is taking place this week from February 20-26, 2017, on the outdoor hard courts at the Aviation Club Tennis Centre (photo below) located in Dubai, United Arab Emirates. Here is a list of the prize money up for grabs for the women tennis players at the 2017 Dubai Tennis Championships. The Dubai Tennis Championships is a WTA Premier 5 tournament meaning it has a total prize fund of at least $2 million. The actual prize money up for grabs for the women players at the Dubai Tennis Championships is $2.67 million. That is above average for a WTA event but well short of the Grand Slam events which are the richest tennis tournaments in the world. All prize money below is in American dollars. The prize money is not cumulative, players only earn the amounts shown for the last round they advance to. Angelique Kerber, Karolina Pliskova, Dominika Cibulkova and Agnieska Radwanska are the four top ranked women in the field.